Foot tapping fiddling filled Campbeltown Heritage Centre at the Young Folk’s MOK Fest session. 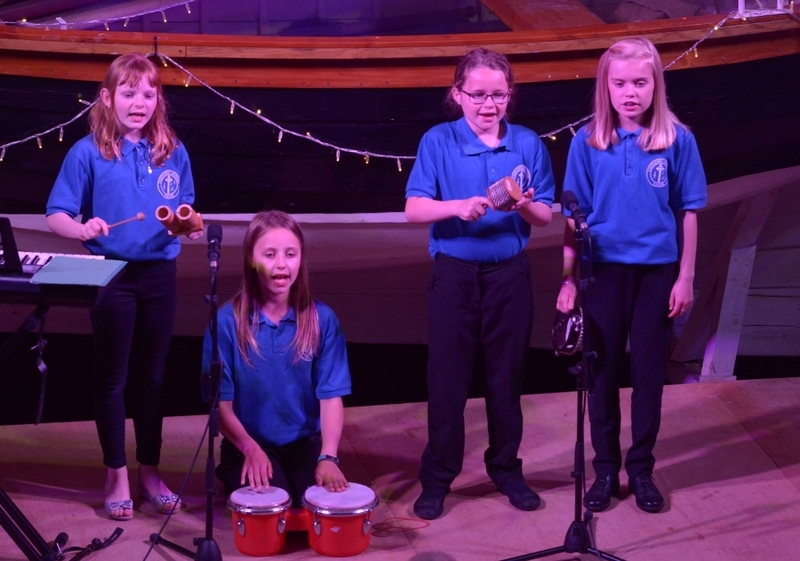 The performance feast showcased the wide ranging talents of Kintyre’s youngest musicians and dancers, making it hard to single out a virtuoso from the eclectic mix. 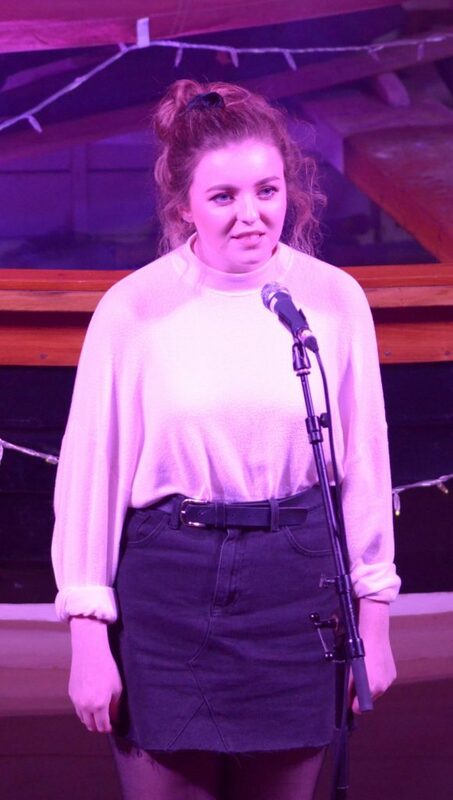 There was no programme but last-minute master of ceremonies, Claire McFadzean, provided a constant flow of information as she introduced the 15 acts with notes about their musical achievements. A section from Campbeltown Brass played three popular music tunes: Robbie Williams’ Let Me Entertain You, Abba’s Lay All Your Love on me and The Rocky theme Gonna Fly Now. 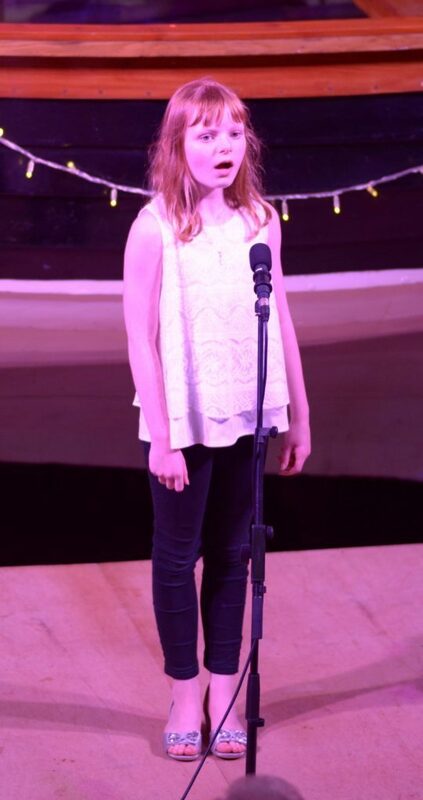 Vocal soloist, Hannah McCaig, has just started in Castlehill’s P7 and is the youngest member of the senior brass band. Hannah sung Aye Walkin O before being joined by her sister Gemma for a duet orf the Wild Rover accompanied, as many acts were, by pianist David McEwan. A musical maestro, Amy Paterson, appeared next for the first of several performances on the fiddle. 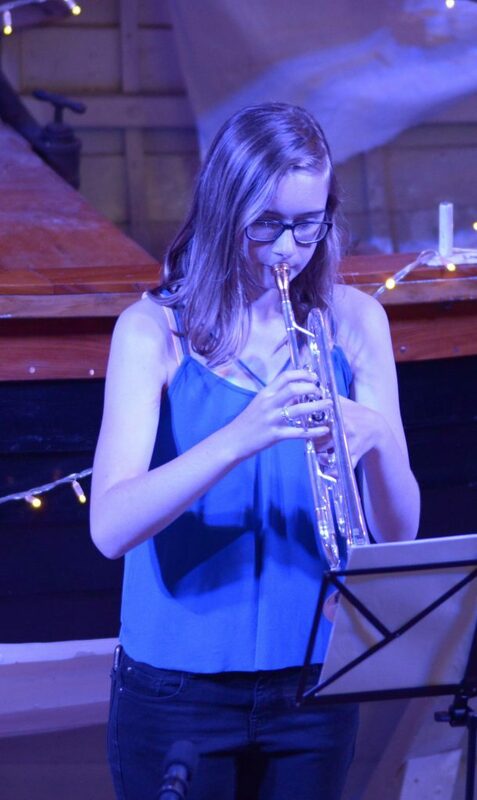 Amy’s other instruments include the tenor horn, piano and drums in the junior brass band. 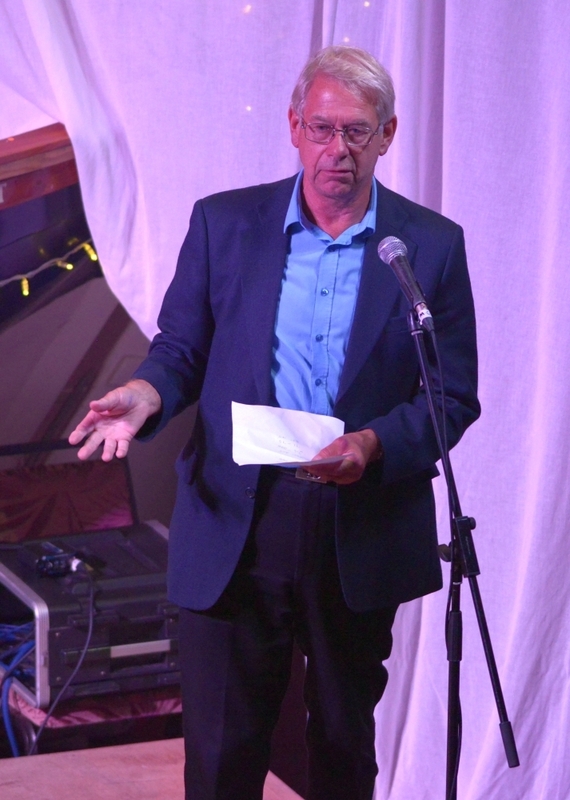 She took the audience through a Scottish set, including Ossian and Lady Charlotte Campbell. Trumpet player Erin McLellan, a member of the National Youth Orchestra for Scotland, accompanied by Morbheinn McAllister, followed Amy with Ave Maria. A range of dancers pirouetted across the stage in the next act and some coped very well with a break in the sound system. 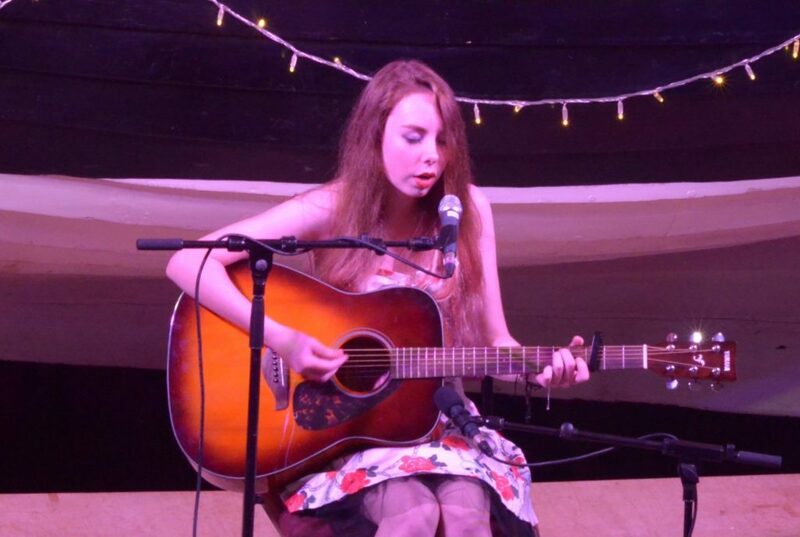 Joni Mitchellesque, Hope Strang, played the Kintyre Songwriters Festival earlier in the year and last week, found an appreciative audience, as she strummed her own versions of Teenage Dirtbag and Candy. 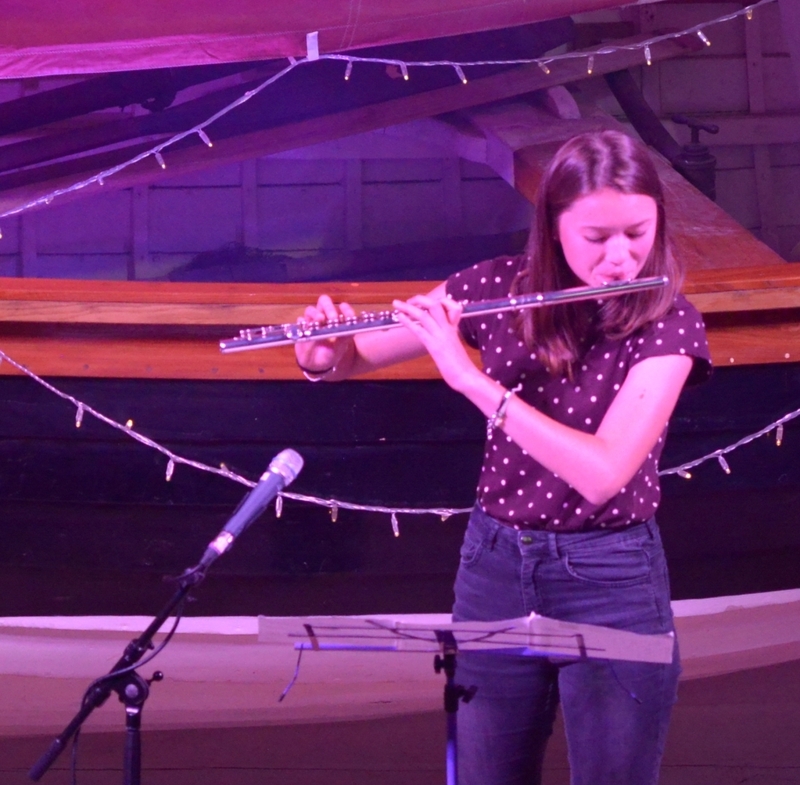 Last year a Parisian flautist flew into the Young Folk night. Ana Laing on another visit, this year, to her grandparents Margaret and Peter, returned by popular request. Ana has been playing the flute sing she was seven and the teenager intends to make a career in music. 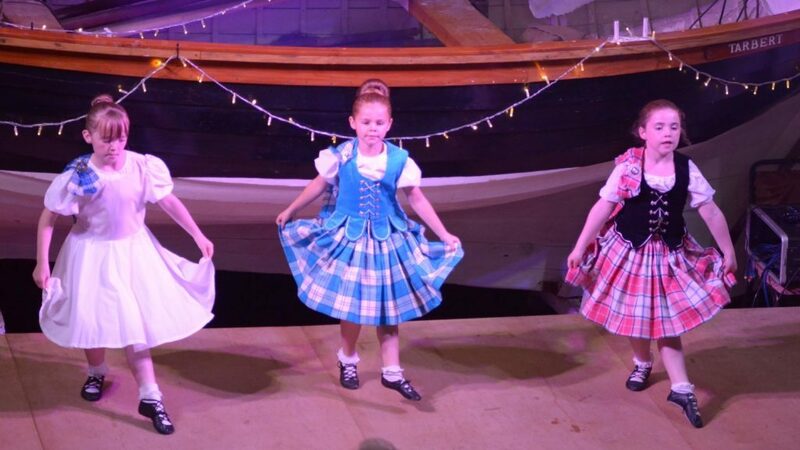 Amy Ross, Hannah McCaig and Iona Renton, all P7s at Castlehill, form the backbone of the school’s folk group with the added talents of Grammar school pupil, Rhona Campbell, just starting in S1 this year. The quartet performed The Parting Glass and the Wild Rover. Bagpiper Maddie Allison showed her range with a vocal show rendition of Aye Walkin’ as a prelude, to older teenager, Linsey Cairns songs: Adele’s Don’t You Remember and Love on the Brain by Rihanna. 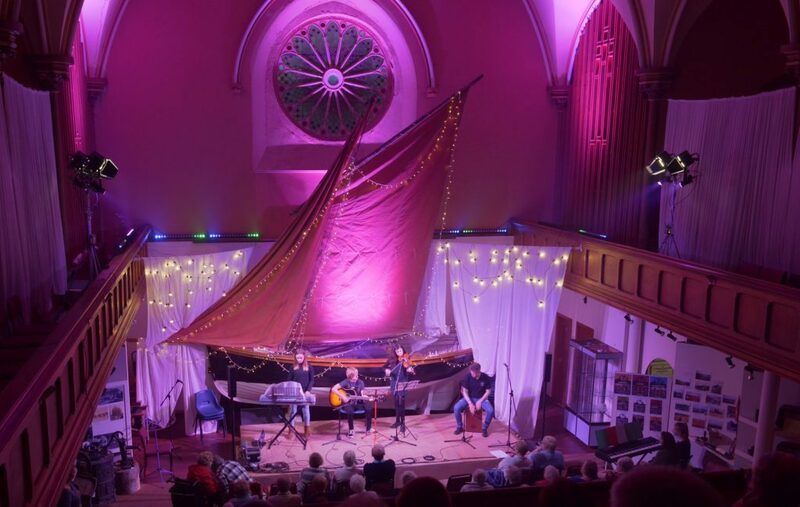 Another new band, Western Sound: fiddler Amy Paterson, Darren Brown on Kajon, guitarist Findlay Gilchrist and keyboard player Alex Wotherspoon made the most of the Heritage Centre setting with four tunes: The High Road to Linton, Mrs Mcleod of Rasaay, the Soup Dragon and Superfly. A further two soloists added something special. 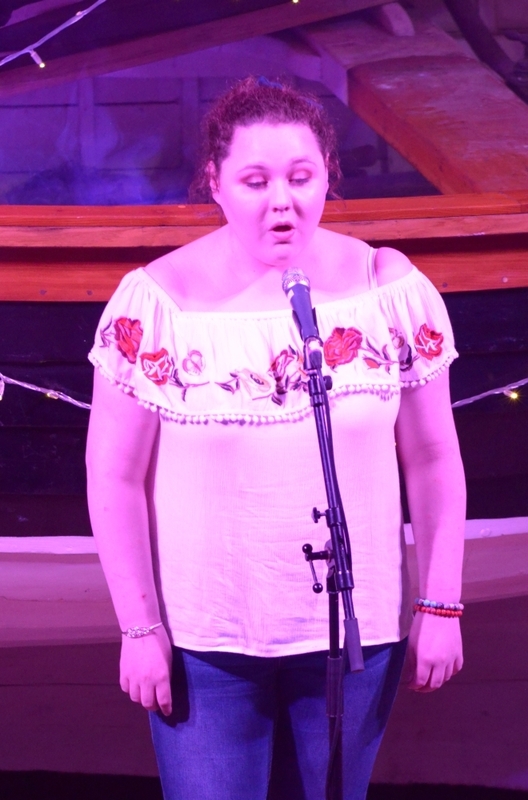 Bethany Kelly’s Gaelic set and Down by the Sally Gardens preceeded City of Stars and Make You Feel My Love by Adele from Erin Ferguson. 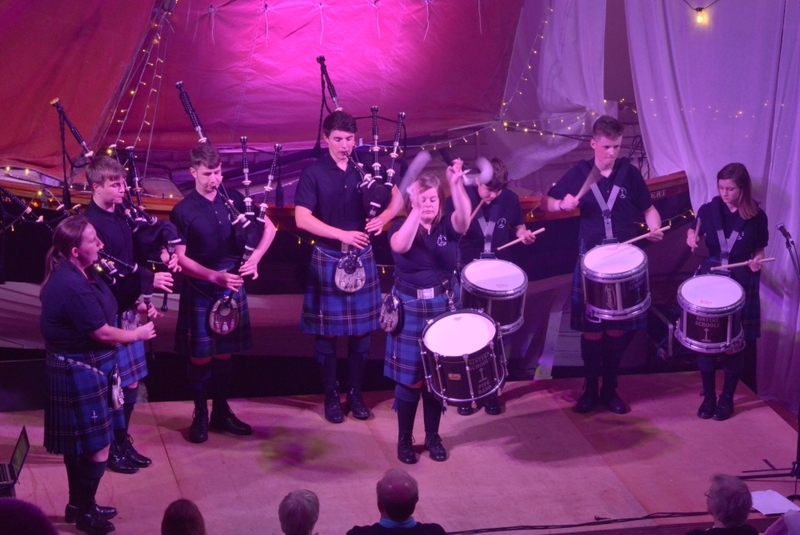 Following a rapid raffle calling by John Bakes, a section of Kintyre Schools Pipe Band played out the concert.